Perry Block - Nouveau Old, Formerly Cute: The Bobby Fishman Rule, or Why Do You Think They Call It Dope? The Bobby Fishman Rule, or Why Do You Think They Call It Dope? Not actually us, but you get the idea. "Now that you're headed to college in the fall, Brandon," I said, "it's time we had a certain little chat." "Dad, it may be a little late for that," Brandon replied. "Don't forget, we've been subscribed to HBO ever since I was being potty trained!" "Not that conversation, Bran, " I said. "The one about, you know ... cannabis sativa." "Oh, that one! Okay, sure, what did you want to discuss?" "Well, Bran, I'm not going to be hypocritical and tell you not to experiment with marijuana. You may not believe it, but I experimented a bit myself!" "R-e-e-e-a-a-a-l-l-l-y, Dad? I had no idea!" "Sure. Back in the day. A tad bit." "How much is a tad bit?" "Fourteen years. But I didn't inhale!" "Oh, yes, makes all the difference." "Now, there are some important things you should keep in mind to be safe should you ever decide to sample marijuana." "Don't get involved with drug dealers, only buy small amounts from people you know & trust, and don't smoke it or even walk around with it outside!" 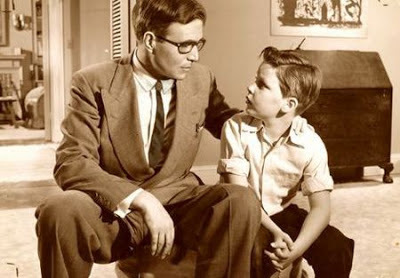 "Right, Dad. And whenever you start to think 'gee, this party or this weekend won't be any fun if I'm not high,' that's when you've got a problem!" "That's right, Bran. Not that I ever came to feel that way!" "Of course not. Anything else, Dad?" "The Bobby Fishman Rule? What's the Bobby Fishman Rule?" "In any group, there's always some guy who will tell you that no matter how wasted he is, no matter how much dope he's smoked, he's okay to drive and it's safe to take a ride with him anywhere." "OH, NO, DAD! You can never trust people like that! Never get in that car!" "That's exactly what I mean. Y'see, I used to know this guy named Bobby Fishman who was always saying he could drive just fine when high." "I get it! This Bobby Fishman character was always after you to ride with him when he was stoned, and you always said "NO!" "Well ... um ... always is kind of a strong word and ... Yes, that's right! I always said no!" "Although there was the one time we were going to Boston ... I mean, he was going to Boston and I thought maybe I might ..."
"Proud of you, Dad! You said "NO" to a trip to Boston with a stoner!" "I did? Oh ... yes, I did!" "And that's the Bobby Fishman Rule, right, Dad?" "That's the Bobby Fishman Rule!" "Thanks for this little chat, Dad. I'm glad to know we can discuss important things like this together." "I'm glad too, Bran. Umm ... Bran? "Every now and then, can we go over that Bobby Fishman Rule again?" "Sure, Dad. Anytime you want." If you liked this post, you might also like Sixties' Speak - Then and Now, Sixties vs. Seventies, and Why Can't He Be Eight or Alley Oop! If you hated this post, I hope the next taxi you hail is driven by the real Bobby Fishman! And remember, kids, never get in the car with anyone driving who's high, no matter what they say! You can always tell a stoner is driving when the car is going 35 in a 60 mph zone and the driver is listening to Pink Floyd's "Comfortably Numb." Or so I've heard . . . Yes, that's true except I always preferred ... I mean, Bobby Fishman always preferred "Casey Jones."